Sussex Police are appealing for witnesses after a man was punched in Brighton city centre. 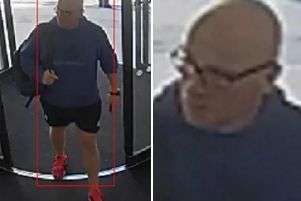 Police said the man, who suffered a fractured jaw, was walking past the Clock Tower at around 1pm on Saturday, July 28, when the attack took place. The victim, a man in his mid-30s, was approached from behind and then punched in the face, police said. Detective Constable Paul Heal said: “This was a particularly nasty assault which left the victim with serious facial injuries. “Unfortunately, the victim did not see the suspect but we are hoping that because it happened in broad daylight at a busy time, someone would have seen the incident. Witness should report any information to police online or by calling 101 with the reference 752 of 28/07.